Use this as a pick me up and works great! 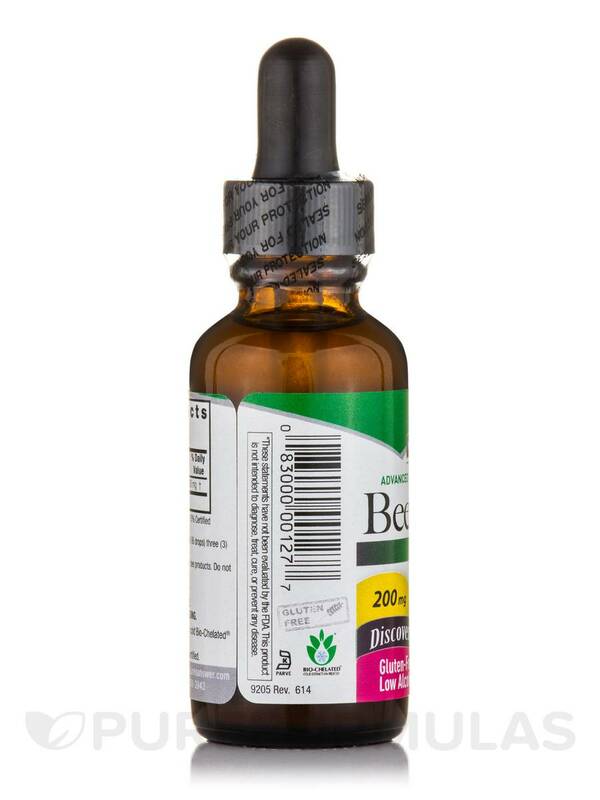 Promote high levels of energy and discover a new you with Bee Pollen Grains Extract - 1 fl. oz (30 ml) from Nature's Answer®. 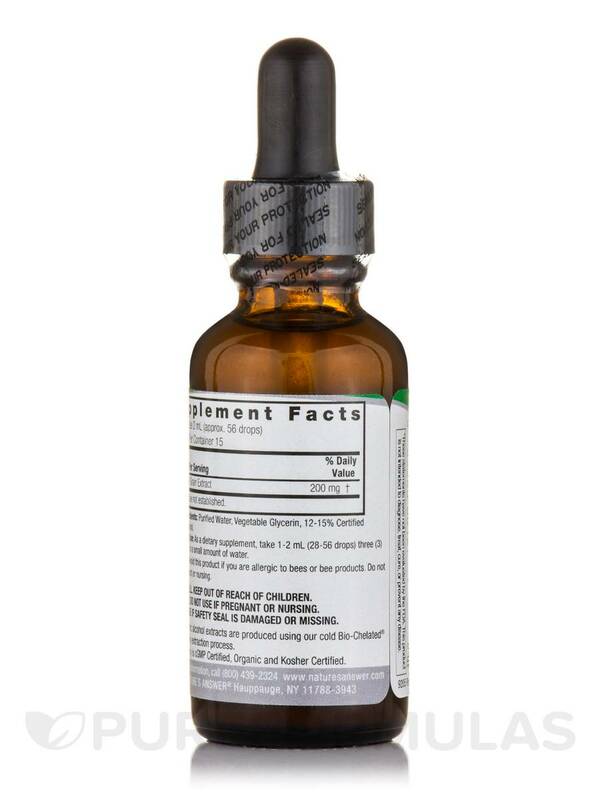 This organic alcohol fluid extract has been reported to be efficient as an energy enhancer and an immune system booster. This holistically balanced herbal supplement is known to pack in a range of high-value nutrients that could potentially fight fatigue and enhance vitality and stamina. 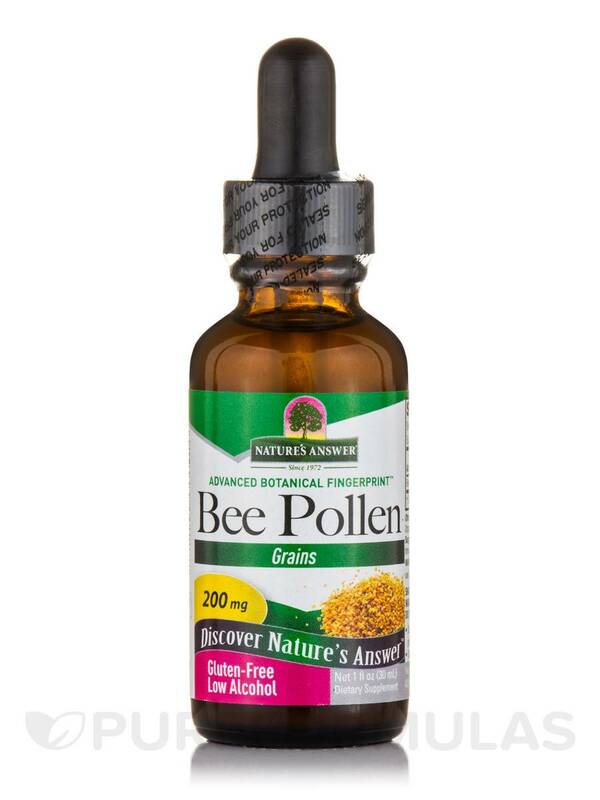 Bee pollen grains help support a healthy immune system‚ thereby preventing anti-viral conditions like colds and allergies. It is also believed to improve digestion and promote longevity and health. The antioxidants in this dietary supplement from Nature's Answer® appear to have anti-inflammatory effects on the tissues of the lungs and may be beneficial against various respiratory conditions. It may also help fortify blood vessels and capillaries‚ and could potentially support circulatory function. Incorporate Bee Pollen Grains Extract - 1 fl. 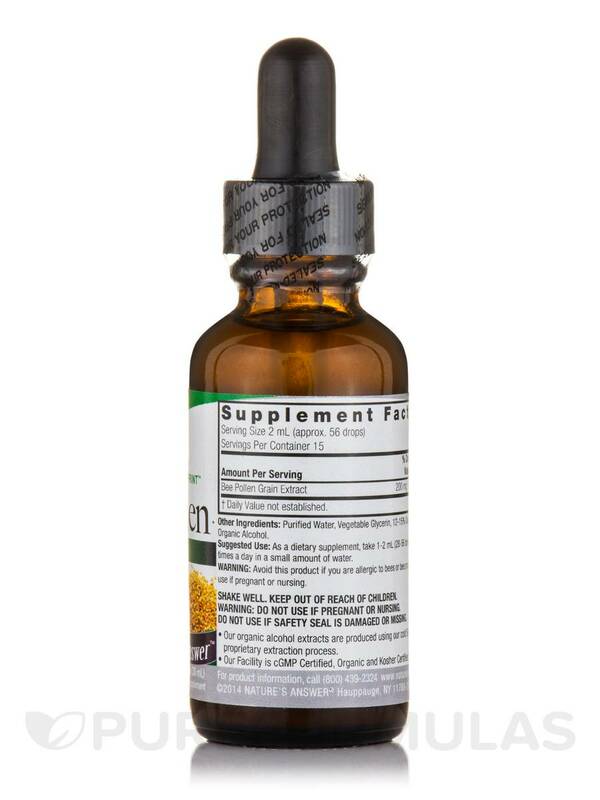 oz (30 ml) from Nature's Answer® in your daily diet and get keyed up with flower power. Other Ingredients: Purified water‚ vegetable glycerin‚ 12-15% Certified Organic Alcohol. Gluten-Free / Kosher / cGMP / Organic. Shake well. As a dietary supplement take 1-2 ml (approx. 28-56 drops) three (3) times a day in a small amount of water. 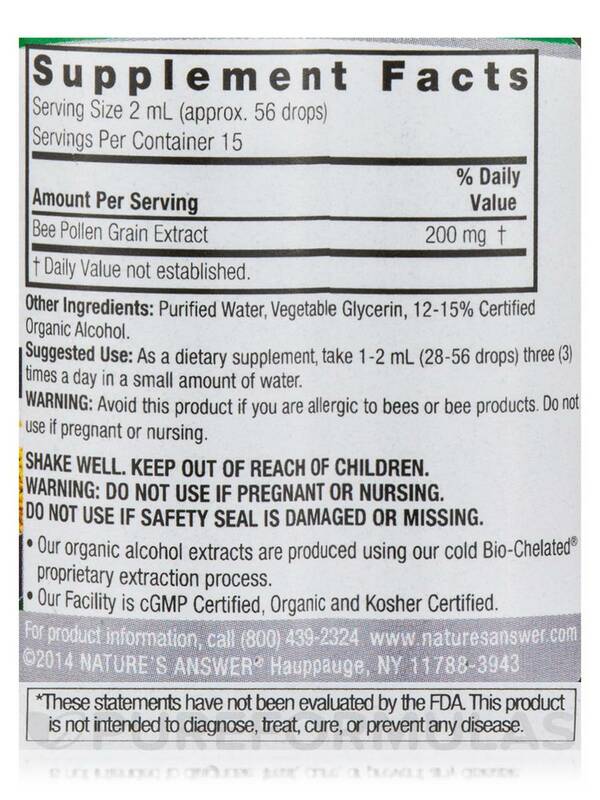 Allergen Caution: Avoid this product if you are allergic to bees or bee products.